Which multiple sclerosis drug do you take for _______? You fill in the blank. Pick an MS symptom. There are several options available for each. There are also several disease modifying drugs that may be recommended by your neurologist. Which drug you decide on depends on a lot of things. Whether you can tolerate a particular drug or not. And you obviously won't know that until you take it. 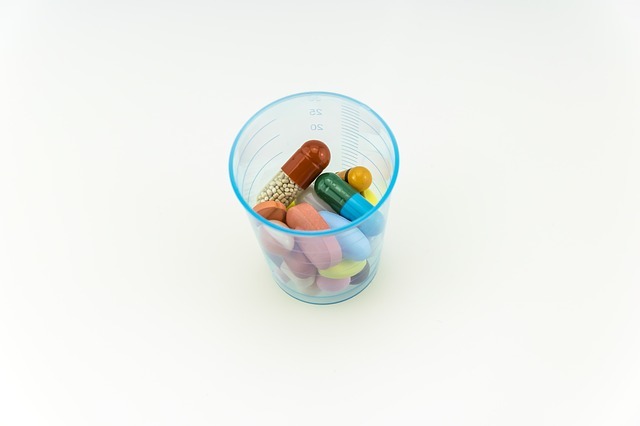 You may not be able to deal with the side effects of some medications. Or the drug just may not work for you. It may work for awhile, then stop working if your body gets used to it and becomes ineffective. Some drugs may not or shouldn't be taken together. Each of your doctors, as well as your pharmacist, should be aware of all the medications you take in order to monitor drug interactions. Some drugs may cause others to not work as well and others may cause the effect of the drug to be heightened. Whatever the case, you should work with your doctor or neurologist to see which ones work best for you. See the following list to see which drugs are usually prescribed for the symptoms of multiple sclerosis. And then you have your steroid treatments. The following is a list of some of the steroids and anti-inflammatory drugs your doctor might prescribe. He or she may do this if you are having a particularly bad flare-up or exacerbation. This is by no means a complete list of the Multiple Sclerosis drugs your doctor may prescribe for the different symptoms you experience. And because of MS research, the list is continuously growing. If you would like to take a more natural approach to your treatment, try looking through the list of alternative treatments here.